‘This spellbinding painting is a true masterpiece and among the very greatest Monet painted during his first and only encounter with Venice. Having remained in the same family collection since 1925, it presents a rare opportunity for collectors from all over the world to acquire a painting of this quality that is completely fresh to the market.’ Claude Monet arrived in Venice on 1 October 1908 – and, taken aback by the splendour of what he saw, the artist declared the city‘too beautiful to paint’. Enchanted by the city, Monet painted just under forty canvases during the course of his three month stay, the greater part of which adorn the walls of museums across the globe. This spectacular painting depicts the historic Gothic façade of the Doge’s palace, and it belongs to a celebrated group of three works painted from the vantage of a boat moored along the canal, one of which is held in the collection of the Brooklyn Museum in New York. Édouard Manet’s Un bar aux Folies-Bergère, now in the Courtauld Insitute of Art, London. 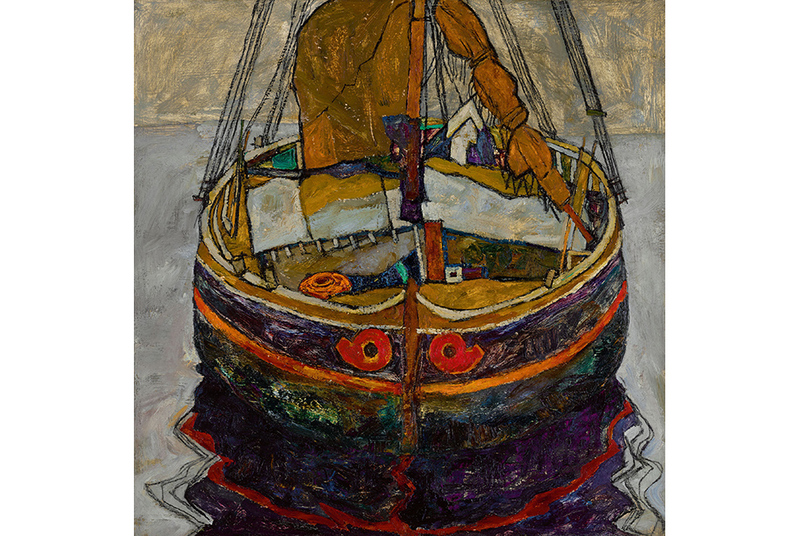 Philanthropic in his artistic endeavours, Goeritz gifted a substantial number of works to the newly founded Tel Aviv Museum of Art in 1933 as well as donating to British institutions including the British Museum and the Tate. Almost a century later, this painting will now appear at auction for the first time, with an estimate of £20,000,000 – 30,000,000, as part of Sotheby’s Impressionist & Modern Art Evening Sale on 26 February 2018. 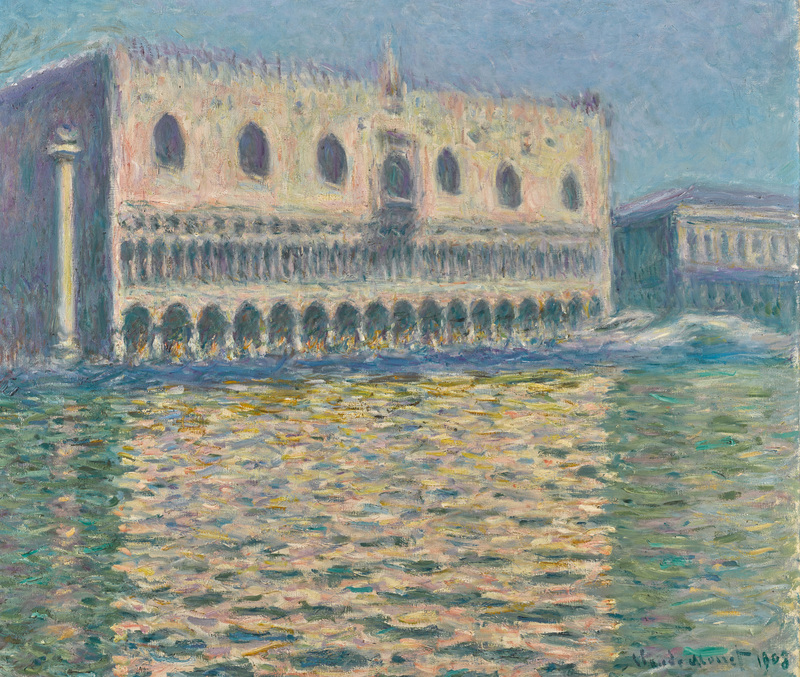 The painting was exhibited earlier this year – its first public appearance in almost four decades – alongside its counterpart from the Brooklyn Museum, in a room dedicated to the Venice series in the National Gallery in London’s acclaimed Monet and Architecture show, which toured through Monet’s ground-breaking depictions of the modern world in which he lived. The composition is harmoniously divided between the palace’s brick exterior, and its reflection in the water. Monet animates the lagoon with wonderfully dappled brushstrokes whilst also bringing to life the façade of the building, which is softly diffused by light. The unique lacustrine quality of Venice and its architectural heritage allowed Monet to explore more abstract compositions, accentuating the interplay between the rhythms of the architecture and the expanse of water. In Venice, Monet turned to his artistic forbears JMW Turner and James Abbott McNeill Whistler, for both of whom the city had held a special importance. Turner presented a Venice transfigured by light, and viewing their poetic paintings side by side, Henri Matisse once remarked that ‘it seemed to [him] that Turner must have been the link between the academic tradition and impressionism’. Unapologetically modern in its outlook and in the way that it is painted, the work is not a topographical view so much as it is an evocation of atmosphere. Venice proved the perfect subject for Monet to explore his apotheosis of painting.